Whether you are a newcomer to United Methodism, a longtime member, or a passerby looking askance, these days it is obvious there is a lot of controversy going on in The United Methodist Church. The following is an attempt to describe the current state of The UMC in a succinct manner that admittedly over-simplifies things with broad brush strokes. Nonetheless, it will be a useful primer for people to enter the conversation. The UMC occupies a unique place in America and on the world stage. The UMC is a global, mainline, evangelical Church. It sits at the intersection between evangelical (baptists, etc.) and mainline (the Seven Sisters of Protestantism) denominations, drawing the best elements from them both. On the global stage, it has a unique composition: progressive and conservative people together under a global democratic representative polity with episcopal governance. At one time it was the largest denomination in America—now it is third behind the Roman Catholics and Southern Baptists, with the LDS (Mormon) church not far behind. The Methodist tradition, which began in the 18th century, had gone through many schisms, reunions, branches, and offshoots before its largest entity finally settled on its current form of The United Methodist Church in 1968.
a Southern Baptist-style takeover that drives out progressives and causes moderate and LGBTQ-inclusive evangelicals to either leave or compromise their beliefs. United Methodist polity and beliefs are up for debate and refinement or complete overhaul every four years at General Conference. Prohibitions against LGBTQ persons first appeared in UMC polity in 1972. Currently, in its rules, LGBTQ persons must divorce their same-gender spouses before serving as clergy, and no clergy person is allowed to officiate same-gender weddings. Application of these rules is widely divergent. Some clergy interpret our rules to mean they can refuse baptism of children to same-gender parents, deny local church membership to LGBTQ persons, or terminate LGBTQ employees. But other clergy choose to officiate weddings and subject themselves to peer accountability processes (which may or may not end up revoking their clergy status), and some regional Boards of Ordained Ministry support LGBTQ persons as candidates for ministry despite the prohibitions. And over 900 church communities now affirm LGBTQ inclusion through affiliation with the Reconciling Ministries Network. Remember that United Methodism has both mainline and evangelicalism qualities. While mainline denominations (Lutherans, Episcopalians, etc.) have affirmed LGBTQ persons to varying degrees, United Methodist polity is closer to contemporary evangelicalism on this topic, with the votes split 55%/45% in recent years. Into this gridlocked debate, the 2016 General Conference supported the “A Way Forward” process put forth by the UMC bishops. For two years, a diverse group of UM laity, clergy, and bishops discerned a plan forward for the denomination. Its full proposal (called “One Church” to be released soon) supports moving the prohibition decision away from the global level so that each region can choose to include LGBTQ persons or not. However, some caucus groups (most notoriously the Traditionalist “Wesleyan Covenant Association,” formed before the 2016 GC) are supporting alternative plans. 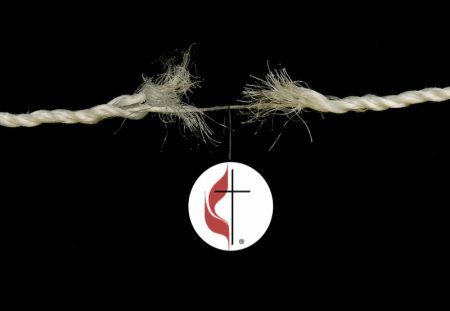 Some would divide the UMC into various branches. Some would remove anti-LGBTQ language altogether. But the most-supported one would grant Traditionalists enhanced powers to force the expulsion of progressive churches and clergy from The UMC. If the Traditionalist plan does not pass, the Traditionalists will likely leave The UMC. The likely vote between the One Church proposal or the Traditionalist Takeover proposal will be February 23-26, 2019. It didn’t have to happen this way. The UMC has previously come to terms with including minority groups into the Church, prevailed over Traditionalist opposition, and emerged better for it with both mainline and evangelical qualities. Progressive, Moderate, and Conservative people worked together before to advance the rights of women to become clergy (1956) and to fully include African American pastors (1968). In both cases, there were Traditionalist elements who had opposed the inclusion of women and black pastors for decades, but their influence had waned because of the inclusion efforts of culture (women and minority voting rights or civil rights movements predated church inclusion). These two advancements made United Methodism the most inclusive denomination in America—it still is the largest denomination affirming women’s ordination. And all of Methodism, especially Methodism globally, has benefitted from these two acts of inclusion. But this time around, things are different. First, the Traditionalists have significant advantages of numbers, money, and organization. The Traditionalist forces against LGBTQ inclusion have not suffered the attrition that decades of gradual cultural acceptance had made for women and persons of color (though both seem to be waning in recent years!). Same-gender marriage has only been legal nationwide for three years as of this writing. Traditionalist opposition is better funded and well-organized this time, capitalizing on the anti-institutional zeitgeist of contemporary culture. Second, while the changes would affect American expressions of polity, the global church votes on the changes, including Africa which constitutes 38% of the votes – a big wildcard! On the one hand, Traditionalist Africans have seen what happened in the Anglican Communion’s inability to censure The Episcopal Church due to its hands-off polity. Similarly, the One Church model places the discernment over LGBTQ persons closer to the affected community rather than dictated from afar. On the other hand, church unity is fundamental to many African delegates, and maintaining a connected church across the hemispheres allows Africa to shape the worldwide church, even if the American contingent looks more like its context than theirs. These two variables have brought into question whether 2019 will be more of the same conflict, or whether a way forward with grace will prevail. For the typical Methodist, there’s much more to be done with United Methodism. The UMC is the only church in the Top Five Denominations to affirm women’s ordination. UMCOR is the jewel that all other denominational social agencies admire. UMC organizational structure allows for responses and resources that independent churches lack. February 2019 has become the endgame for this conflict, hence the upheaval, posturing, acrimony, and blog posts. Either The UMC continues to set itself as the best of mainline and evangelicalism together in a world of polarities, including All to follow their calls to ministry, or it will dissolve into its warring factions and fade into the background of the religious landscape. The article “What’s going on in The United Methodist Church in 1000 words” was originally posted on HackingChristianity.net.